Starting in the real estate business in 1981, David Sessa has almost 20 years of experience specializing in real estate finance. In 2006, David brought his talents to GCP Capital Group, LLC where he has since arranged over 200 loans exceeding $1 billion in commercial transactions. David is skilled in the placement of debt across a broad spectrum of property types including multi-family, office, shopping center and self-storage. 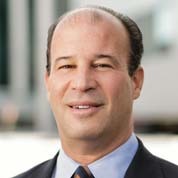 David is a member of the NY MBA and a graduate of American University where he received his degree in Urban Development in 1981.